Kosmology is an Advanced Sequencing System designed with Live performance in mind. 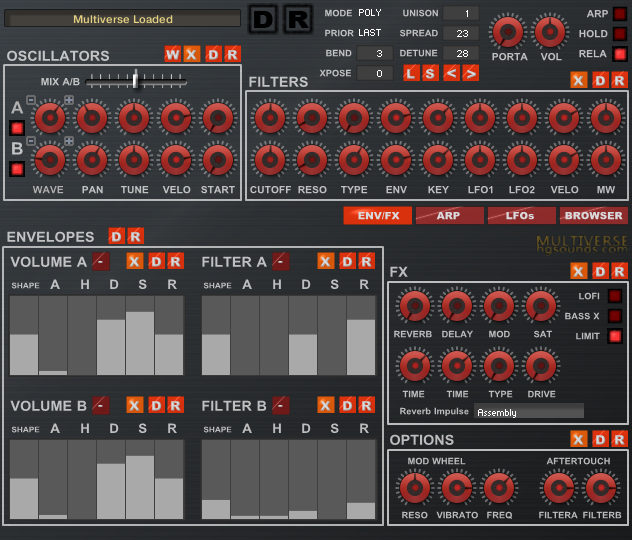 It has 8 Sequencer Instances which can be switched on the fly from your MIDI controller. Each Instance has independent control over 40+ parameters with 5 freely assignable destinations from a list of over 40. 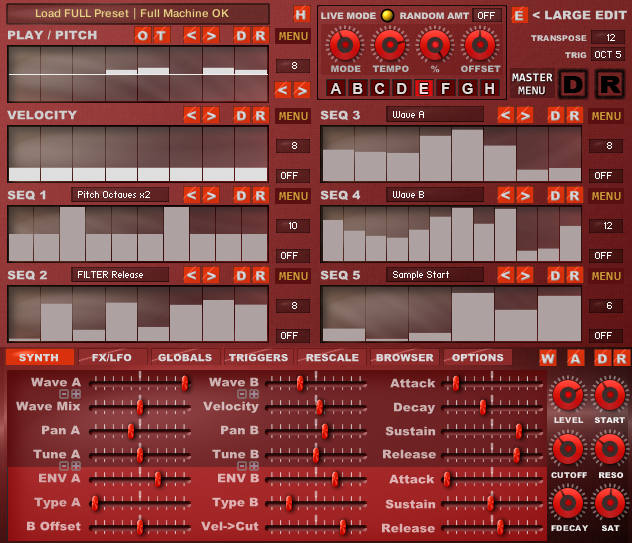 Each Sequencer also has independent tempo and step size which opens up almost endless possibilities. The Sequencers can be played like a regular instrument and are also polyphonic. The greatest feature however is the ability to Sequence the Waves (sampled instruments) themselves which brings a unique and instantly inspiring 'sound' to the sequence. There are also a series of live MIDI note triggers designed for manipulating the tempo and sound during performance, a Globals section designed for offsetting parameters across all instances which support VST Automation. There are also 3 programmable triggers which can apply offsets to parameters when the relevant MIDI note is held, and finally there is a Rescaler for forcing sequences to a specific scale for each note in the octave.